Managing and distributing a large volume, complex, and always changing mix of material samples, sales literature and premium items to a wide network of dealers, designers, and end-users is a big challenge. With today’s web-savvy and mobile sales channels, online ordering and management of these items is now an absolute requirement. Our online reporting capabilities will let you monitor order and inventory histories to determine product usage patterns and order volume history. With this information you can better manage your inventories, preventing obsolescence and reducing inventory costs. Integrated Shopping Cart – With Leed’s integrated shopping cart you can control who can order, what they can order, and how much; all through a secure online web portal. Shipping Flexibility – Ship directly to dealers and end-users as needed, expediting the flow of promotional materials to the right place at the right time. Improved Inventory & Budget Management – Establish user access privileges and inventory management allocations for better control over usage and costs. Easy Monitoring – Create online reports simply and quickly – 24/7 – so you can easily monitor the status of your marketing campaigns. Custom Reporting Options – We can also help design and run custom reports, giving you the right information required to understand and control your marketing programs. Same-Day Shipments – We provide same-day shipment for all online orders placed before 5pm Eastern time. 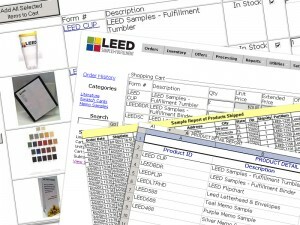 You’ll get the material samples and sales literature into the hands of your sales force faster. This builds and maintains the trust your dealers and designers have placed in you. 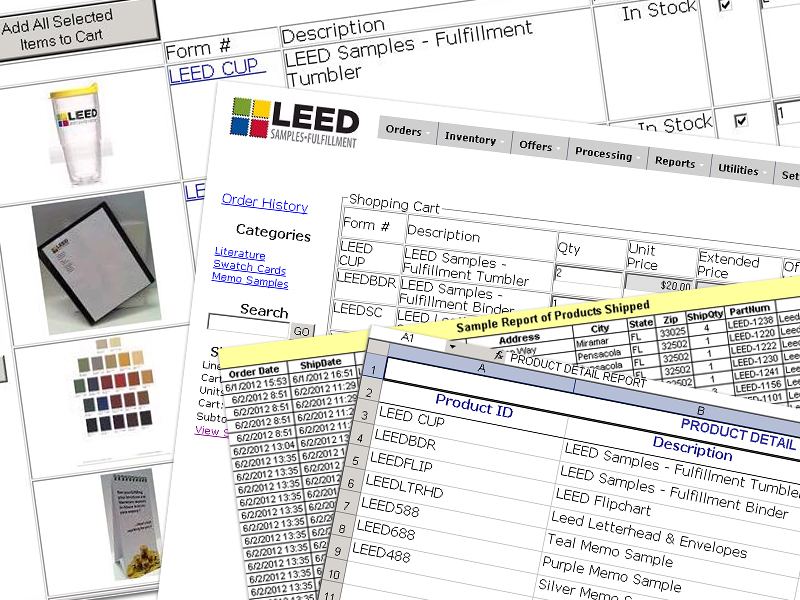 Contact us today to discuss how Leed’s in-house fulfillment services can help streamline your samples and literature distribution operations.